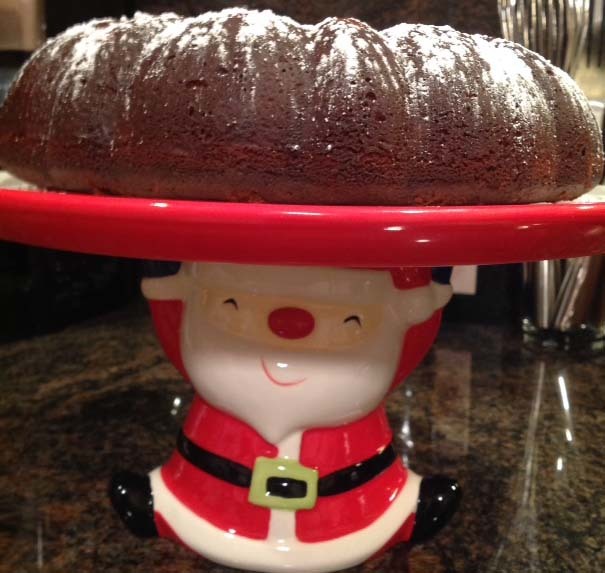 Posted November 28th, 2013 by Lisa & filed under 12 Divine Holiday Treats, buttermilk, chocolate, Christmas, Divine Chocolate, pound cake. Ready or not, Turkey Day is behind us and Cyber Monday is upon us. In other words, it’s “prime” holiday time — a favorite of many for gathering with family and friends over sweet treats. 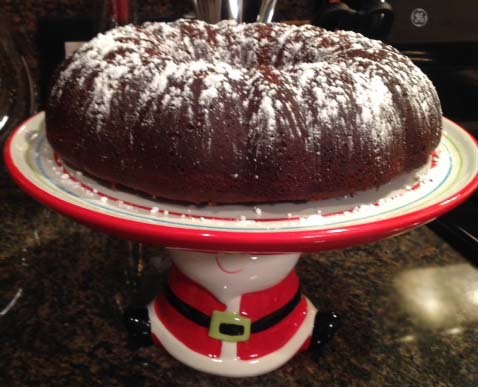 Well, Divine Chocolate Cookbook: Heavenly Chocolate Recipes with a Heart has another recipe that will work perfectly for your Hanukkah, Christmas or New Year’s table — an incredibly rich Old-Fashioned Chocolate Buttermilk Pound Cake. No matter how you slice it, there’s no denying that this simple chocolate goodness is sure to satiate the dessert lovers in your crowd. While it doesn’t need more than a dusting of powdered sugar for serving, you could consider whipping up a quick drizzle frosting — sugar glaze or coffee would work well here. 1. Preheat the oven to 350 degrees. 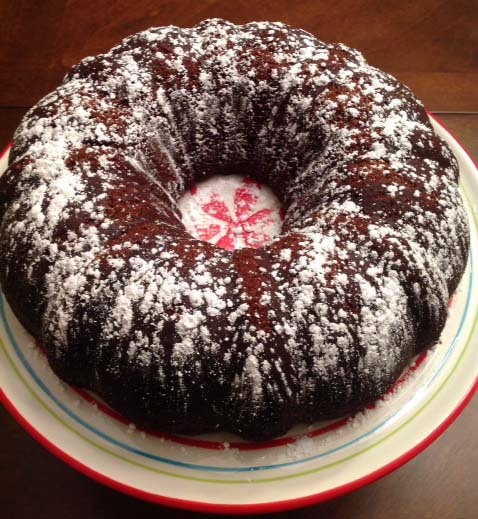 Prepare a bundt pan – grease and lightly dust with cocoa powder. Sift the flour with the cocoa, baking powder, baking soda and salt. Set aside. 2. Cream the butter and sugar until light and fluffy. Beat in the eggs one at a time, incorporating after each addition. 3. Stir the coffee into the buttermilk. Gradually add the buttermilk and flour mixture to the butter and sugar mixture, alternating additions and ending with flour. Spoon batter into prepared tin and bake for 50-55 minutes or until a toothpick inserted into the center comes out clean. 4. Dust with powdered sugar before serving. Enjoy!